Mykonos island is one of the most famous summer destinations around the world. Is it because of the turquoise waters, the soft sand and the sunny weather? Is it because of the intense nightlife where everyone can find his way to have fun? Is it because of the elegance and luxury a visitor can enjoy in every detail? It is all of the above – and many more – that one can find in just one place, Mykonos island. Here are the top 5 things you should do while you are spending some time in Mykonos. Mykonos is a beautiful Cycladic island and, in spite of the huge growth of its VIP tourism during the last few decades, it kept the traditional character of fishermen villages and cubic architecture. 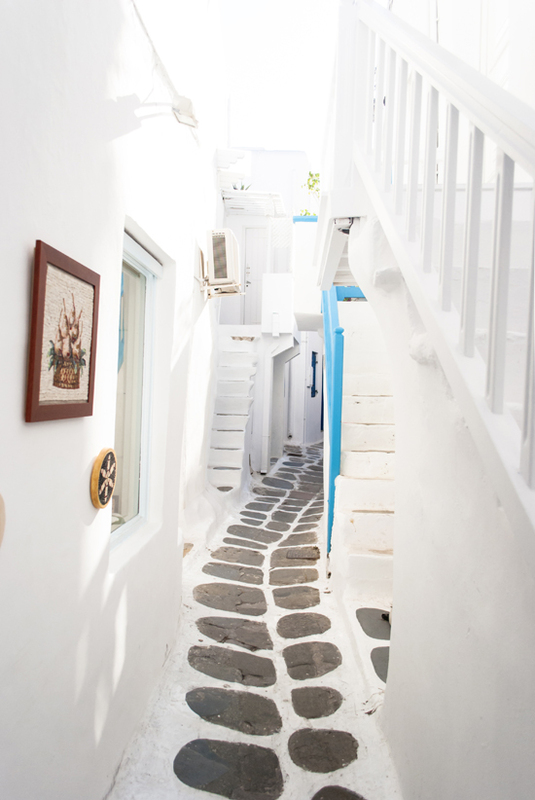 Even in Chora Mykonos you will find areas with the typical, whitewashed houses and the narrow, stone-paved streets. Take a walk at these neighborhoods, mix with the crowd and enjoy the relaxation of a different way of living. During your walk, you will find many interesting shops, boutiques and art galleries. A lot of the world’s most famous fashion designers bring their latest creations here. In Mykonos’ art galleries you will find unique pieces of art, like sculptures and paintings, made by famous and infamous artists. It is a perfect chance for you to go shopping! Apart from the crowded Chora Mykonos, there are so many beautiful areas you can visit. You can go to one of the virgin beaches and take a walk at the wild, amazing seaside. You can visit one of the small fishermen villages or some of the many traditional churches and chapels of the island. Nothing can be more relaxing and revitalizing than spending a day on one of the many amazing Mykonos beaches. Swim in crystal clear waters, take your sunbath on a comfortable beach lounger, try some water sports or just play with your friends or family on the beach. A good way to see more Mykonos beauties in a short time is to take a boat trip or rent a private yacht and visit some of the best beaches of the island. The islets of Dilos and Rinia are not far and have some wonderful sandy beaches too. Late in the evening watch the unique Cycladic sunset from your sunbed or your balcony. For the best sunset views choose a beach on the west side of Mykonos island. Little Venice in Chora Mykonos has the perfect orientation and a lot of bars and restaurants where you can enjoy your cocktail or meal during the colorful sunset. You will find luxury almost everywhere on the island. 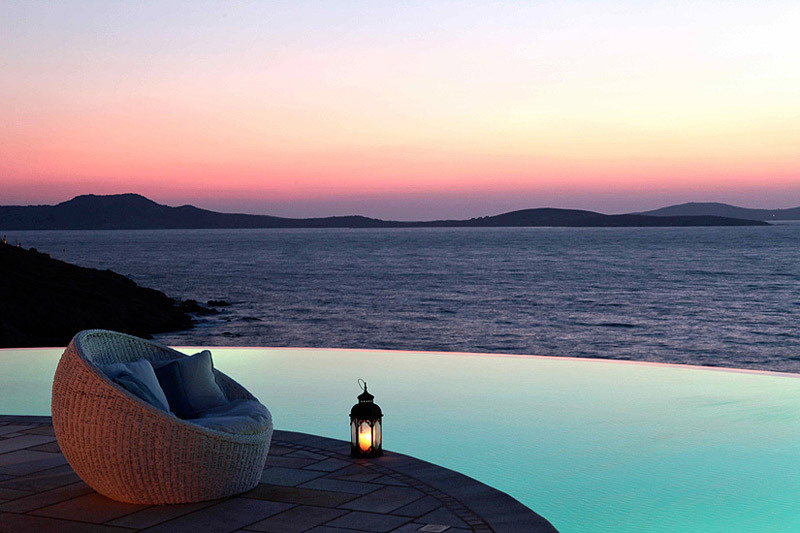 Mykonos villas and 5 star Hotels offer an ideal lavish accommodation with all the amenities you may ask for. Gourmet restaurants, VIP transportation, spa and wellness centers, exclusive concierge services will make you feel like a star, in the privacy of your villa in Mykonos. All you need to do is to relax and enjoy the best things in life. It would be a good idea to book every detail – like restaurants, transportation and your VIP access to the best clubs – prior to your visit. You can do that through your hotel or villa staff or by using one of the exclusive concierge agencies. While if you interested for the Real Estate in Mykonos, you’ll find that there are superb options for every taste and all the ideal locations of the cosmopolitan island. Mykonos gets really busy during the night. There are many beach clubs and bars for you to choose from and dance, drink, socialize and have fun. The beaches of Paradise, Super Paradise and Psarou become a huge night club as soon as the night falls. Thousands of guests dance to the beats that famous DJs pick until next morning. 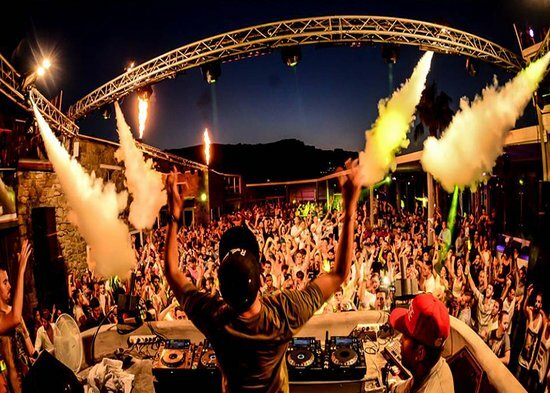 Events, rituals and champagne showers are regularly organized at Mykonos night clubs. For your convenience, make sure you book your VIP access to the biggest night clubs in time. You can also organize your own private party with your own guests and happenings at your villa or a rented luxury yacht. 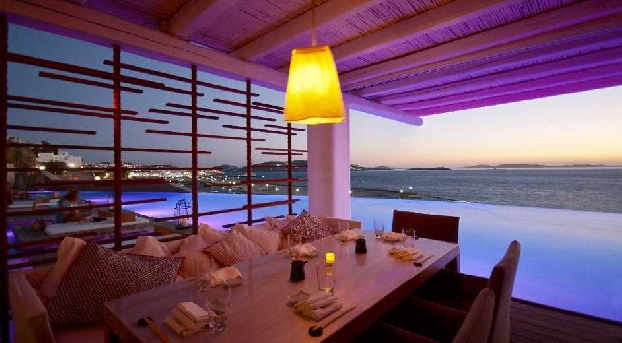 In Mykonos you will find an endless number of excellent restaurants and bars. Well known chefs prepare the most extraordinary gourmet dishes for their guests. No matter what your favorite cuisine is, you will find restaurants that suit your tastes here. The lavish decoration, the well trained staff and the delicious menu will make you feel like a celebrity. Mykonos restaurants have some of the best wine lists worldwide. You can find rare labels of wine or champagne here and if wine testing sounds interesting to you, you can even attend one of the wine testing event that are often organized here. Famous bar tenders also spend their summer here, preparing their signature cocktails in Mykonos bars and clubs. Secret recipes, strange names and impressive colors will definitely make you want to try at least some of them.